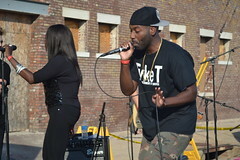 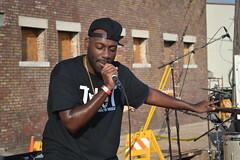 Tyke T was already an up-and-coming Memphis rapper when the local radio station K-97 proclaimed him the “Next Big Thing” after he won a contest they sponsored. 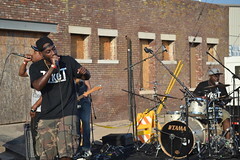 Since then, he has been to New York and several other places for concerts, and although he might not be nationally known yet, he is part of a growing movement of Memphis rappers who seem to be more positive, more upbeat and more lyrical. 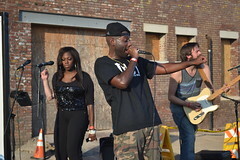 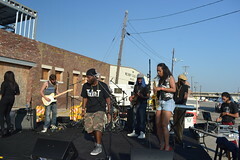 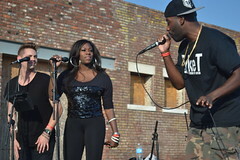 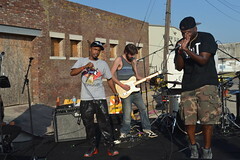 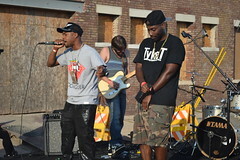 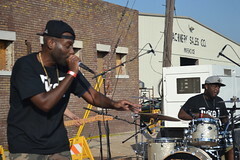 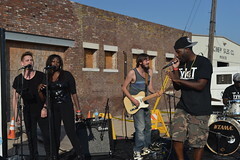 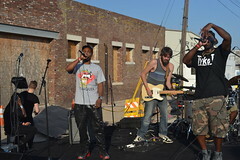 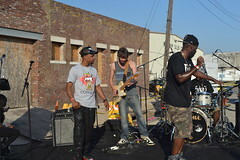 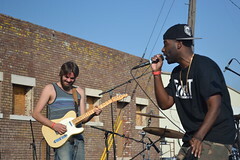 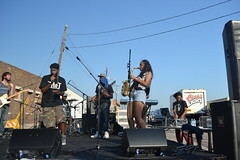 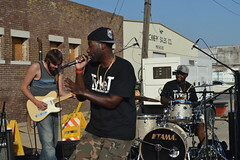 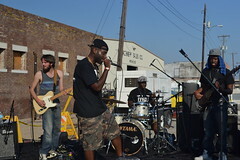 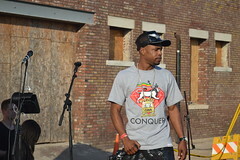 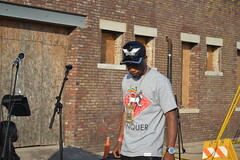 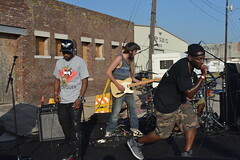 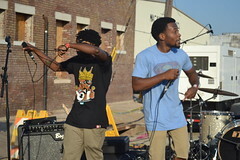 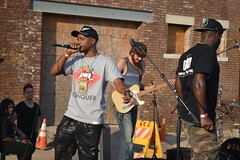 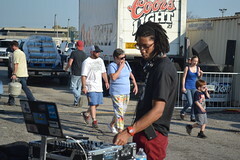 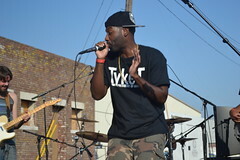 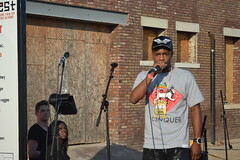 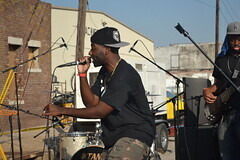 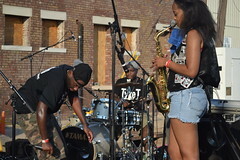 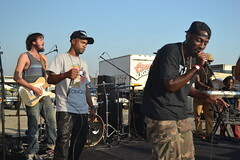 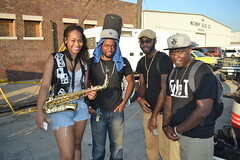 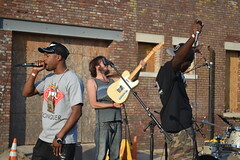 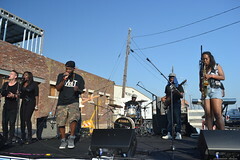 He is also part of a growing local trend to rap with live musicians instead of just recorded tracks or a DJ, and for his performance at the River Arts Festival, he chose one of Memphis’ best up-and-coming bands, 4 Soul to back him, along with live singers, and guest appearances from other Memphis rappers such as Li’l Cam and S.O.U.L. 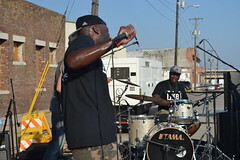 Altogether it was a rap performance that could appeal even to people who don’t usually like rap, and that was probably precisely the point. 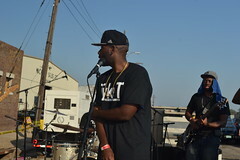 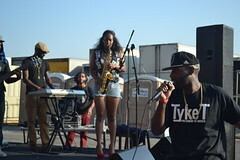 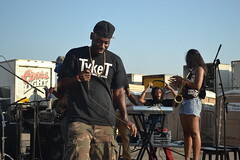 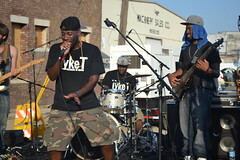 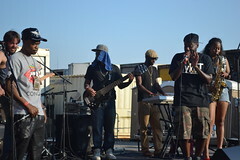 Tyke’s lyrics avoid the negative tendency of the local artists that lean more to the gangsta style, and the live band gives him an appeal to those whose musical preferences lean toward other genres. 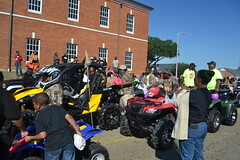 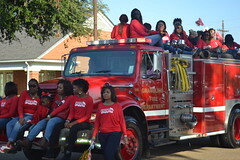 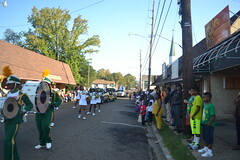 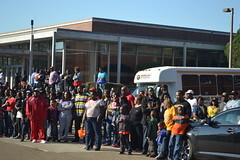 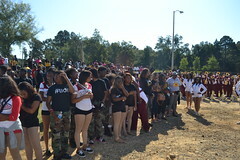 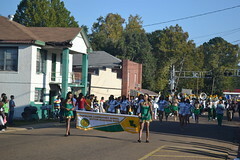 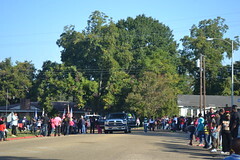 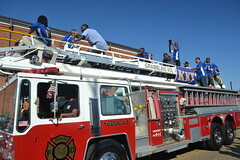 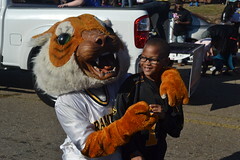 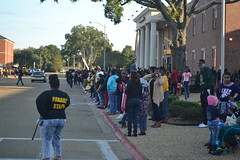 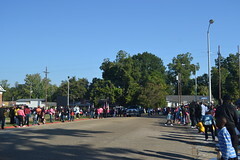 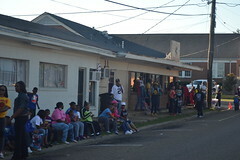 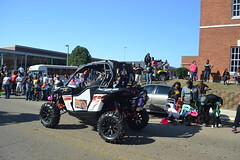 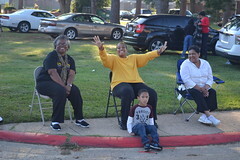 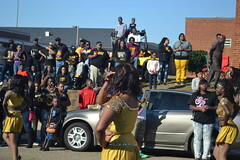 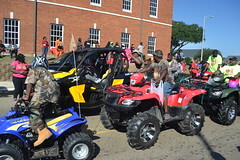 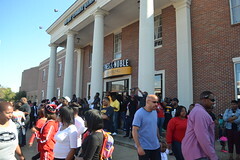 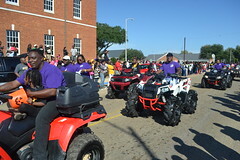 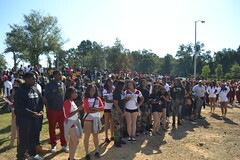 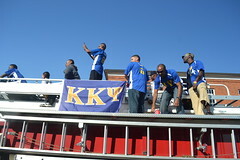 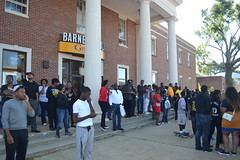 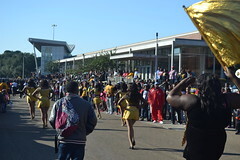 Homecoming Day at Grambling State University always begins early, with a parade through the town of Grambling that begins at 9 in the morning. 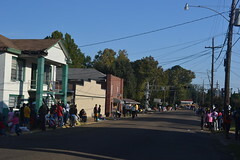 People start lining up earlier than that, hoping to reserve a good spot to see the bands, majorettes, drummers and floats. 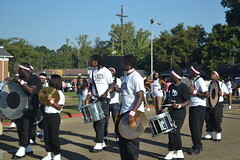 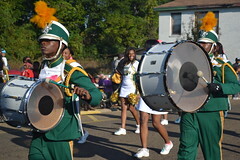 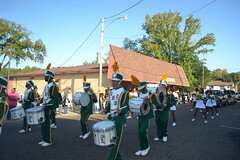 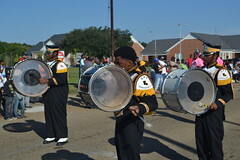 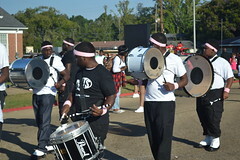 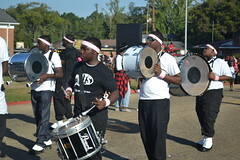 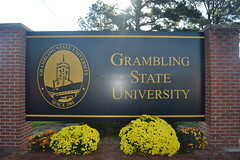 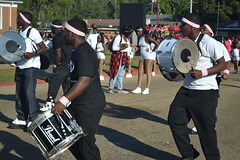 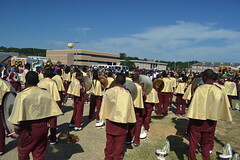 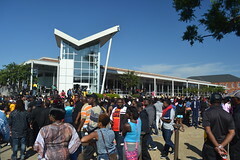 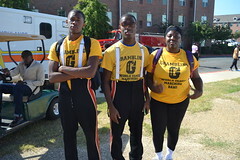 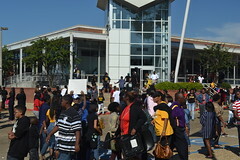 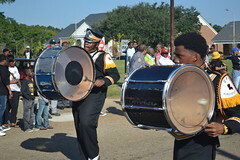 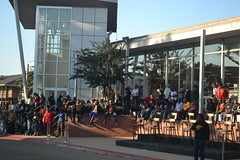 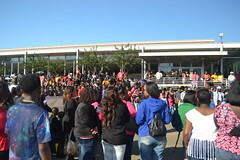 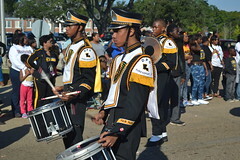 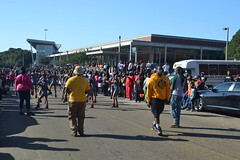 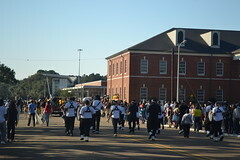 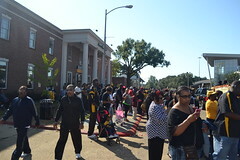 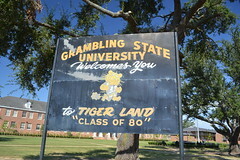 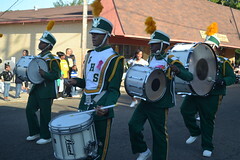 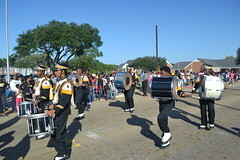 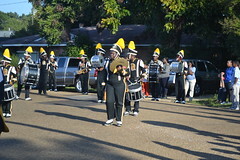 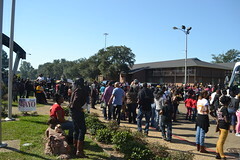 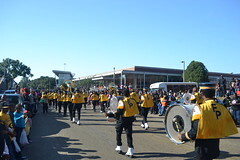 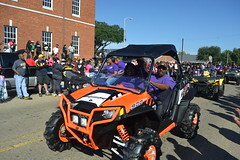 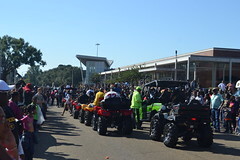 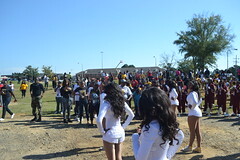 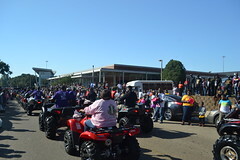 By tradition, the Grambling State University Marching Band always comes first, followed by the Grambling High School band, and then there are always a number of bands from various parts of Louisiana and Texas, floats from various campus and town organizations, majorette squads and classic cars and vehicles. 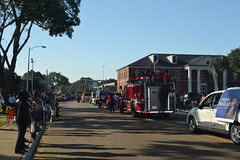 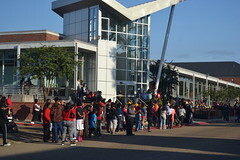 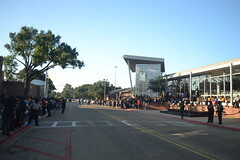 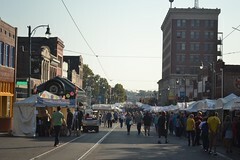 The largest and densest crowd is always in the center of campus between the McCall Dining Hall and the Favrot Student Union, and the parade route usually ends at Central Avenue and Ralph Waldo Emerson Jones Drive. 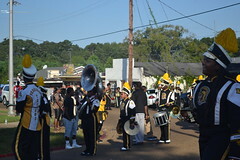 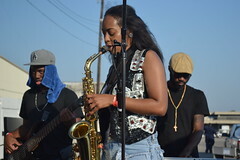 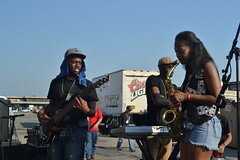 This year, on a hill near that intersection, two bands from Shreveport, Fair Park and Booker T. Washington got into a band battle after the parade had ended. 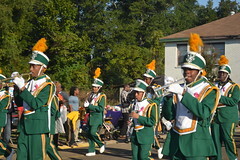 Although there seem to be fewer bands these days, the parade is still a lot of fun. 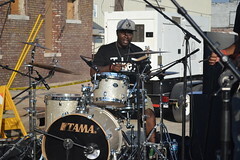 The preliminary rounds of the Guitar Center drum-off in Memphis were held on successive Tuesday nights, September 9th, 16th and 23rd. 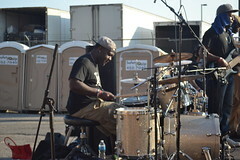 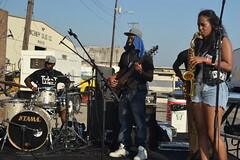 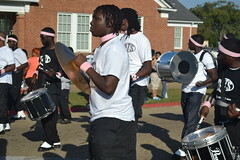 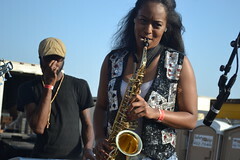 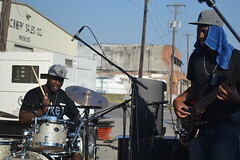 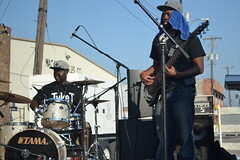 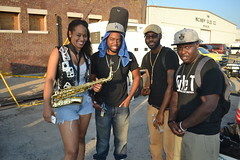 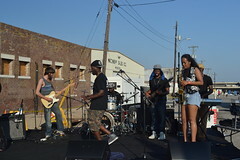 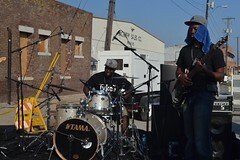 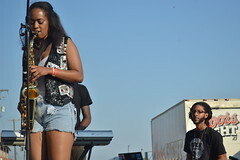 Two drummers from each week were chosen to advance to the finals, which were held on September 30th. 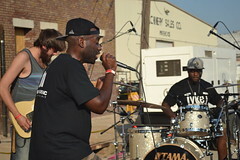 As a result, the six drummers who competed that night were the best of the best, and the judges had a more difficult time deciding who should advance. 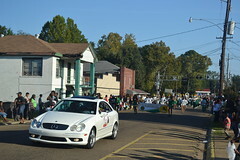 Ultimately the privilege fell to 16-year-old Keith Hankins of Byhalia, Mississippi. 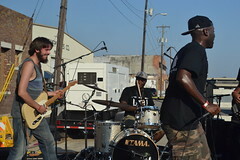 Byhalia is close to Memphis, and besides that, there is no Guitar Center in the state of Mississippi, so Hankins will represent Memphis at the state finals in Nashville. 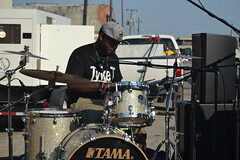 As I posted last week, the Memphis metropolitan area has an amazing level of talent when it comes to drummers, and that was obvious again during the third round of the Memphis Drum-Off at Guitar Center on September 23rd. 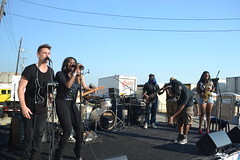 Two winners from each of the rounds advance to the store finals on the 30th, from which one will advance to Nashville for the state competition, from which one will advance to Atlanta to battle for the regional award, and one drummer from the South will go to Los Angeles for the national championship, which includes a drum set, endorsements and $25,000. 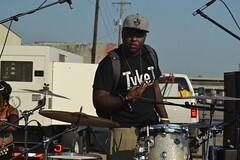 And yes, a Memphis drummer has won nationally in the past. 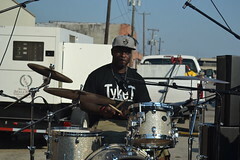 For some reason, the city of Memphis is full of amazing drummers, and has been for as long as I can remember. 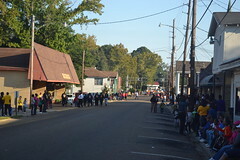 At least some of it has to do with the gospel music legacy in our city, as for many years we were the headquarters of the Church of God In Christ. 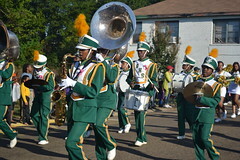 Much of it may also be a legacy of the excellent band programs that used to exist in Memphis’ inner-city high schools such as Manassas, Booker T. Washington and Hamilton. 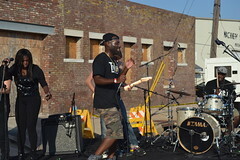 But each year, when the Guitar Center has their national drum-off competition, the Memphis preliminaries yield some amazing performances from some amazing young drummers. 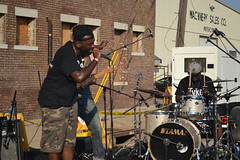 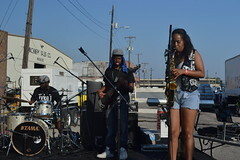 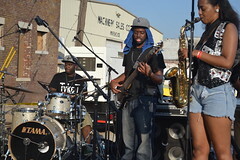 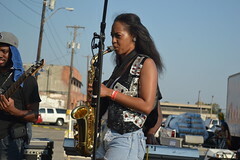 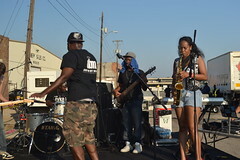 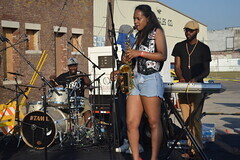 Although I missed the first round, the second round, held on September 16, had some incredible musicians, including Shawn Payne, who has already made a name for himself, an outstanding young female drummer named Shakira Jackson, and a 17-year-old named Marquise Moore. 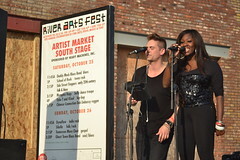 Ultimately, these last two advanced to the store finals on September 30.